This is Content and Coffee. A podcast about digital marketing, content, strategy, startups, and business. 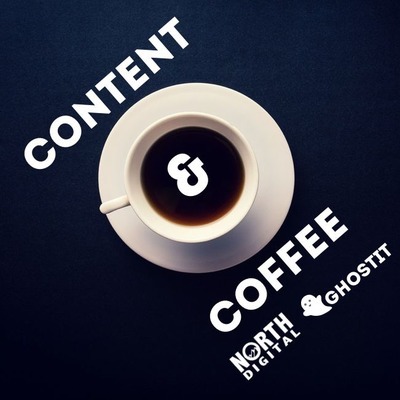 If you like Mixergy, Entrepreneur on Fire, Tropical MBA, Rocketship.fm, SaaStr, Tim Ferriss show, or Startups for the Rest of Us, you will love Content and Coffee. Ep. 19 Should You Offer Free Trials? Will Fraser is the CEO at SaaSquatch, a speaker, and Chair at GrowthAutomation.org. We have an excellent chat about his past, how he got into tech, what he is working on right now, and how they are changing the future of marketing through growth automation. You can find him on Twitter @getFraser. Check out http://growthautomation.org/ and http://saasquatch.com/ to learn more about what SaaSquatch is up to. 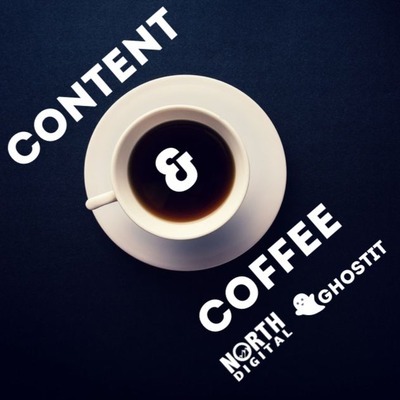 In this episode of Content and Coffee Kimia and Sean dive into mastering the art of driving referrals. Going through your marketing funnel: - Attraction - Consideration - Decision - Conversion - Retention - Referral It's crucial that you are continually driving referrals because word of mouth growth is the cheapest and most effective way to grow. It is not as simple as doing great work, and Sean and Kimia dive into how you can incentivize your customers to drive more referrals to grow your business. 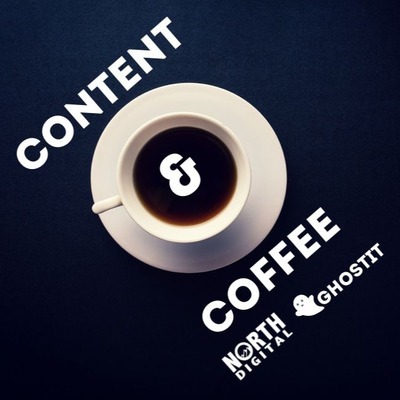 In this episode of Content and Coffee Kimia and Sean go over how you should use data to add purpose and structure to your content marketing strategy. Without using data to inform your content marketing strategy you are leaving a lot of money on the table. Please give us a rating or review as it encourages us to make more content. As always we appreciate questions and shares to get found! If you want to learn more about the hosts you can go www.north.digital/ for Sean or www.ghostit.co/ for Kimia. Kimia and Sean dig into how in businesses 90% of success is showing up. This does not mean you don't have to do your best, there is a level that you have to meet but if you have the discipline to persist in your endeavors your goals can be achieved. We dive into how this has applied to both of our businesses resulting in. This law has allowed Ghostit to grow 1700% over 2017 so it is not to be ignored. Please give us a rating or review as it encourages us to make more content. As always we appreciate questions and shares to get found! If you want to learn more about the hosts you can go www.north.digital/ for Sean or www.ghostit.co/ for Kimia. In this episode of Content and Coffee Kimia and Sean debate which is better co-founder vs. solo-founder. There is a lot of upsides and downsides to both. Kimia has been a co-founder most of his entrepreneural career while Sean is currently a solo-founder which allows very different perspectives to be brought forward. Please give us a rating or review as it encourages us to make more content. As always we appreciate questions and shares to get found! If you want to learn more about the hosts you can go www.north.digital/ for Sean or www.ghostit.co/ for Kimia. 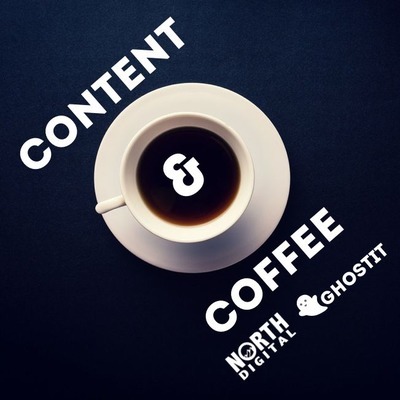 In this episode of Content and Coffee Kimia Hamidi and Sean Wiggins share updates about their companies. What is in the works for Ghostit as well as North Digital. We also dive into how many times you should follow up with a lead, giving tactical advice as well as sharing funny and relevant stories from when we closed deals. For a digital agency you may hear the longest sales cycle ever from Sean. Please give us a rating or review as it encourages us to make more content. As always we appreciate questions and shares to get found! If you want to learn more about the hosts you can go www.north.digital/ for Sean or www.ghostit.co/ for Kimia. In this episode of Content and Coffee Kimia Hamidi and Sean Wiggins analyze the top mistakes we see businesses make. Because we see so many businesses on a day to day basis we break down the mistakes we see into two sections; 1. High level and 2. Actionable. Our high-level mistakes that we see businesses make are things that businesses owners should look to change over the long run of their businesses and the short term mistakes are things that can be changed right away. 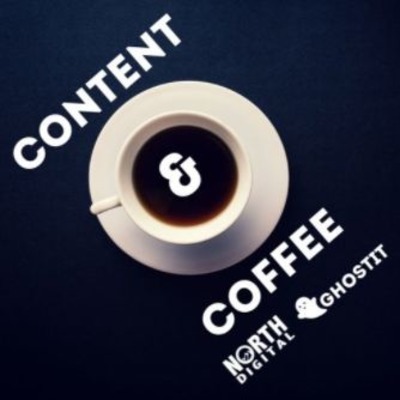 If you want to learn more about the hosts you can go www.north.digital/ for Sean or https://www.ghostit.co/ for Kimia. 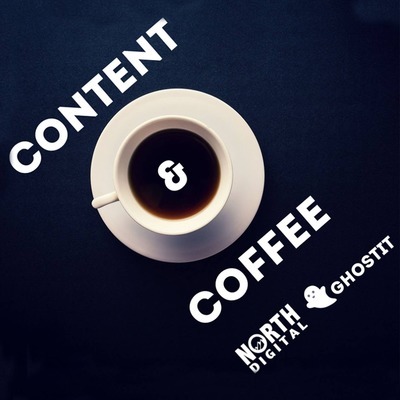 In this episode of Content and Coffee, Kimia and Sean break talk about the benefits of niching down or being a generalist in your business. There are pro's and con's to both which we explore. Which one can you ask more money from your clients? If you want to learn more about the hosts you can go www.north.digital/ for Sean or www.ghostit.co/ for Kimia. In this episode of Content and Coffee, Kimia and Sean break down what is retargeting, Why you’re going to need it, what are the main platforms, should you even do it, it is expensive, and what your biggest takeaways are going to be. Advertising in retargeting can be complicated but we make sure that we break it down so it is easy to understand and give the listener all the information to see if it is a right fit for their business. Retargeting is directing an advertisement or an advert online to someone based on the fact that they have already viewed the content of yours. If you want to learn more about the hosts you can go https://www.north.digital/ for Sean or https://www.ghostit.co/ for Kimia.